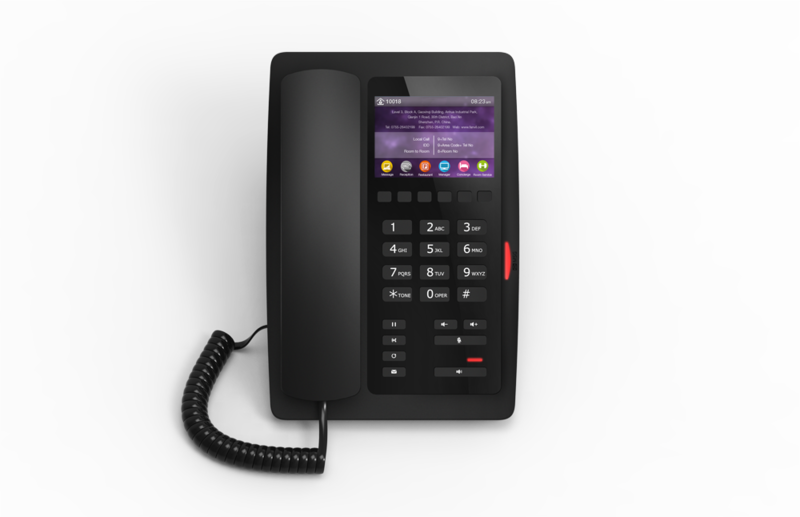 The VH05 is a SIP phone designed for the hotel. 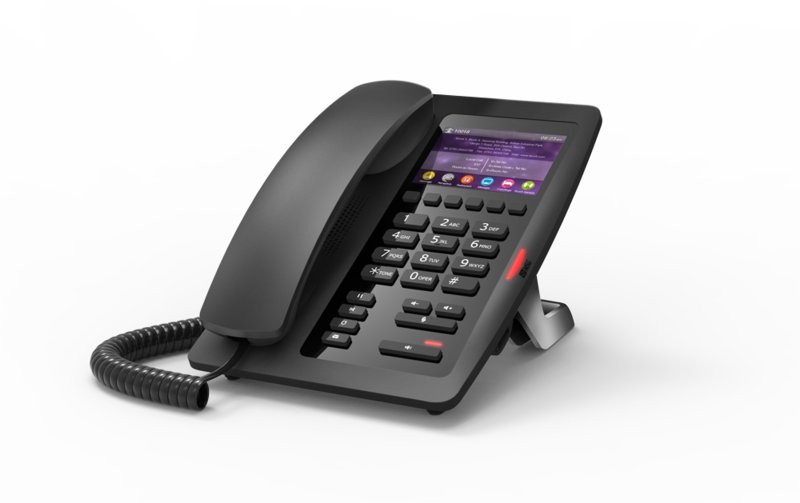 It is compatible with any SIP standard IP PBX platform. It enriches the guest experience with its 3.5-inch color display and the fashion design.